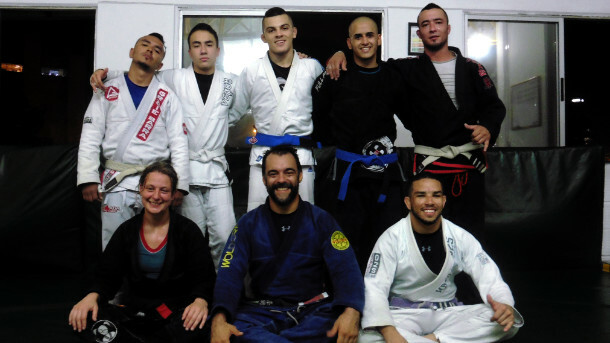 I went in Medellin for 2 days and as I arrived too late on monday evening in the city, I could only train on Tuesday in Gracie Barra with Carlos Barreto. He comes from Panama but live in Colombia and he was the first black belt there. We did 2 classes, a beginner one following by an advanced one. Some guys give me some though rolls. I didn’t roll very well, not better than in Popayan. I had others good fights with the professor and one of his student who gave the class, Daniel Echeverry, who is really a good fighter. I had a good time to visit and roll in this academy.